Lipreading Practice News 2015 - learn lipreading using video clips and written exercises. Free online lipreading resource for the hard of hearing. "I’m not going to whinge about it. I could have been killed, lost a leg or been blinded. I feel it’s rather bad karma to complain about it." Deaf Unity is looking for trainers from Higher and Further Education (FHE) to take part in an innovative new project - 'Motivating and Inspiring Young Deaf Learners'. Launching in 2016, this lottery-funded project is the first of its kind, and designed to tackle the rapidly declining number of deaf students in higher in further and higher education. It is a unique opportunity for experienced individuals, with skills in mentoring and working with a deaf audience, to empower young deaf and hard of hearing students to pursue successful and rewarding careers. To find out more about the project, and how you can help make a difference to the next generation of deaf learners, please visit the Deaf Unity website. 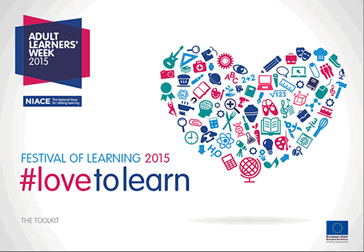 Find an event near you: Festival of Learning events calendar. During the months of May and June, the Festival of Learning will bring together organisations across the country to offer thousands of opportunities for anyone and everyone to learn something new. In Essex, Essex Adult Community Learning will be running a range of FREE taster sessions in Libraries and other locations across the county, where you will have the opportunity to meet our tutors and find out more about the learning opportunities. I attended this lecture & reception and it was one of the best presentations I have ever been too. The Annual Lecture 2014 - Dr David Baguley explores current insights into hearing and deafness act4addenbrookes.org.uk.